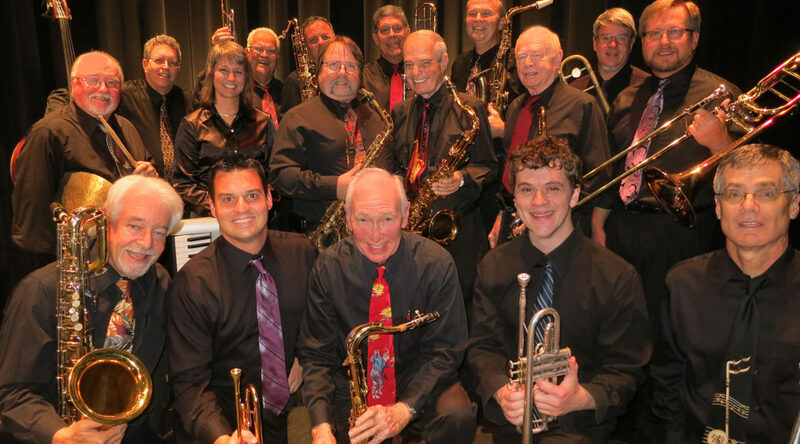 (Sarasota, FL) The Sarasota Jazz Project Orchestra will present “A Big Band Jazz Christmas,” on Monday, Dec. 17, at 7 p.m. at the William H. Wakeman III, Cultural Center Theater, 2280 Aaron Street, Port Charlotte. Two musical stars return from previous shows at the Cultural Center to further enliven the concert. Miami jazz singer Lisanne Lyons warms up the stage with “Santa Baby” and “I’ve Got My Love to Keep Me Warm.” The Sarasota High School graduate, recipient of two DownBeat awards, was a featured soloist with Air Force bands worldwide while serving active duty, including Air Force Academy Falconcaires. She has also performed nationally with Joel Grey, Woody Herman Orchestra, Maynard Ferguson Band, Arturo Sandoval, Larry Elgart, University of Miami Concert Jazz Band, Fort Worth Symphony, Harry James Orchestra, and many more. Lisanne is a recipient of 2 Down Beat awards. She currently serves as Director of Jazz Vocal Studies at Florida International University. Art Hallett adds his powerful voice with a funky version of a great Christmas spiritual, “Go Tell It on the Mountain.” The Detroit-influenced singer presents this and other songs that have been part of his outreach during his 25 years as director of Evangelism Explosion Prison Ministries, where he works to prepare incarcerated men and women for re-entering society. Rev. Hallett has recorded more than 12 CDs that display his immense talent. “As always, Sarasota Jazz Project presents the best jazz soloists on the West Coast of Florida,” McLain said. Among the 16 band members are Kevin Celebi on trumpet, Pete Barenbregge on sax and Davit DeWitt on trombone. Reservations are recommended for the concerts, which begin at 7:00 p.m. Admission is $17 for members of the Port Charlotte Cultural Center and $19 for nonmembers. Tickets are available by phone at 941-625-4175, online by clicking the “buy tickets” tab at www.theculturalcenter.com or at the door, 2280 Aaron Street, Port Charlotte. Future concerts in the Monday night series will be held on January 21, February 18, March 25 and April 22. Over its 8-year history the Sarasota Jazz Project Orchestra has become known as the premier big band of the Gulf Coast. Its performers, some of the area’s best jazz musicians, perform classic and contemporary big band music in a concert setting. Members hail from counties up and down the Gulf Coast, from Largo to Fort Myers. The band has appeared with numerous jazz greats, played in significant venues, and performed countless concerts, often for the Charlotte County Jazz Society and the Jazz Club of Sarasota. The band will release its third CD, The Best of Friends, this month. 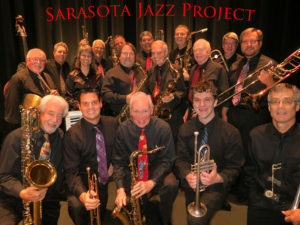 To learn more about the Sarasota Jazz Project, visit its website at www.SarasotaJazzProject.org.